Send some LOVE this year. Using the masking technique our Stamper's 10 club will be creating these pretty cards this weekend - for FREE! This morning the kids and I signed the pretty Valentine version of this card for my beloved hubby. Men are challenging to design for - but he really liked this card and how it came out - yay! Join Us at our fun card making classes and you, too, can create works of art wrapped up in a hand-made card. The fun of masking is that you can create dramatic scenes with ease. 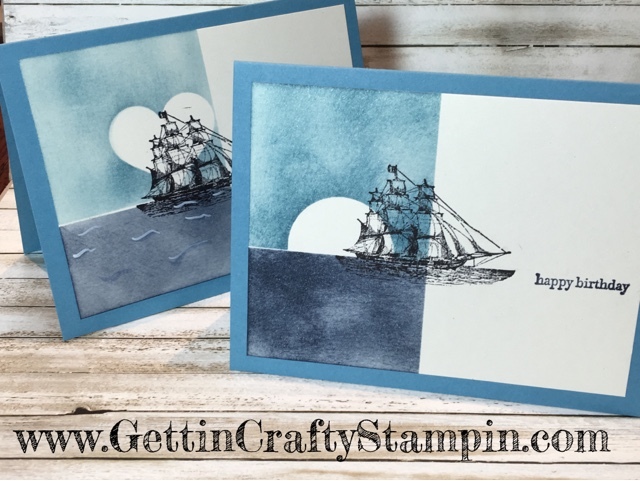 Here the moon over the ocean is a dramatic look that is fun to create. The Stamper's 10 Club members will receive these for free, a Technique page for their 'recipe' book and a Video Tutorial! Join Us - any where in the USA and you, too, will receive this class to own and refer to over and over. 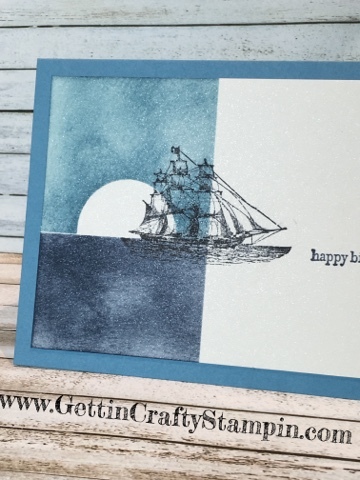 Created over the Shimmery White card stock for an additional wow element, this Masculine card is sure to delight. JOIN US March 4th for the Manly Man 20 Card Class. We will create 20 hand-crafted cards in one fun night! Own the Endless Birthday Wishes stamp set to use all year long. Here the Sweet Heart punch really was a perfect fit for my hubby. He just loves all things on the water. The Teeny Tiny Wishes stamp set gives you 24 different sayings to use all year long - it is a must have! My hubby and I this morning. 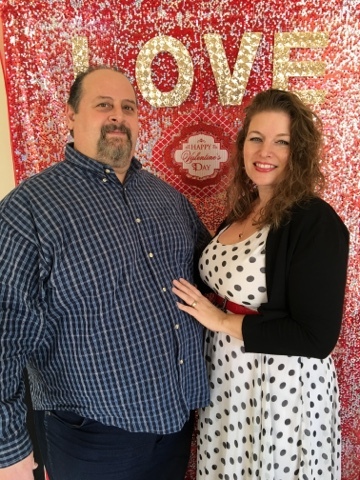 We were 'props' to see if the Valentine's Dinner backdrop would work. With 5 daughters, one son and now a son-in-law; my husband and I are blessed by our very busy but love-filled life. Happy Valentine's Day! No matter how you create it - this masked card is perfect for Valentines, birthdays, sympathy and more. Join Me as #ImBringingBirthdaysBack and will have a series of Birthday card classes that are fun to join. 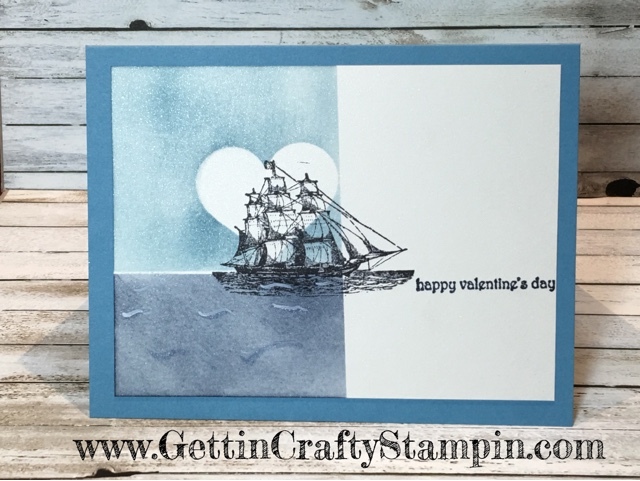 See why we have fun while learning techniques at our Stamper's 10 Club classes.